Specializing in architectural, interior and product placement photography for thirty years. My clients include architects, interior/ kitchen and bath designers, contractors, builders, contractors, major manufacturers, trade and consumer publications and others in the design-build industry. I specialize in interior and exterior residential photography, contributing often to Houzz.com, real estate professionals, contractors and staging companies. I am also an interior design and lifestyle writer and love most seeking out and finding the heart and soul of homes and what makes them compelling and creative. A2zWeddingCards offers a wide variety of wedding invitations, traditional cards like Hindu wedding invitations which cherish the loyalty of traditions of Hinduism, Christian wedding invitations that fulfills the relation of sacred faith, Muslim wedding invitations which maintains the holy laws of Qur'an and many more. Get a huge collection of aesthetic and glossy papers, authentic stuffy wordings. 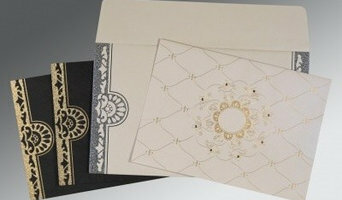 Celebrate your wedding with a royal feel with artistic and tempting wedding card designs. As marine and architectural photographers we are dedicated to delivering an experience personally tailored to you. From basic shoots to large custom projects, our understanding, equipment knowledge and professional care are key to providing the best photo solutions for your residential or commercial environment. Having experience working with brokers, architects, interior designers, etc.-- we pride ourselves on providing the focus and flexibility to meet your needs and project demands. Providing beautiful quality images for retail and commercial marketing with an emphasis in both interior and exterior photography around the Seattle and Bellevue areas. Our photographers truly embraces the art of architecture. Whether you are an architect or interior designer, WE Studio will present the artistic side of your work and vision to the world. We create powerful and compelling imagery for Residential and Commercial Real Estate. Photographer based in Gig Harbor WA, available worldwide. Advertising, interiors, product and event. I am a professional photographer that specializes in interior, architectural and site photography. I received a BA in Interior Design at Bellevue College, and have been working in the design industry in sales, art consultancy, custom art and design. In business since last century (OK 1999). Professional result in less time and for less money. Real Estate and Architectural Photographer with experience in Waterfront and Luxury Real Estate properties. Capturing the lifestyle highlights of a property is not only crucial but will show the future buyer the essence of daily living in any home whether it is a small condo, a moderate family home or a luxury estate. Helping the buyer experience the quality of the home thru my viewpoint as a photographer is very rewarding. 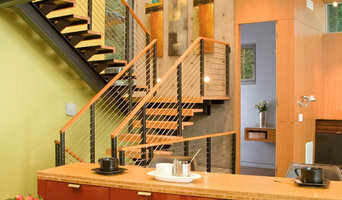 3D HomeVue is the Pacific Northwest’s premiere marketing company for today’s real estate world. With the infusion of cutting edge technology and visual innovation we take any environment to a whole new level! 3D Tours engage and immerse users, captivating customers before they even visit. We are proud to bring digital innovation to Washington’s real estate community. John G Wilbanks Photography, Inc. Architectural, Residential and Aerial Photography. Call or email to request photography work. Leaving a message on Houzz won't get to me. 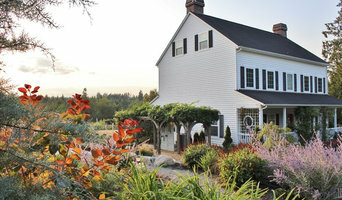 Distinctive Real Estate Photography strives to create high quality, professional real estate photos, aerial photography and video in greater King and Pierce County including Seattle, Tacoma, Bellevue, Kirkland, Redmond, Kent, Auburn, Federal Way, Gig Harbor, Puyallup, Lakewood, Bonney Lake and more We are now also serving the Kitsap County area including Bremerton, Bainbridge Island, Port Orchard, Olalla and others. If you're thinking of selling or renting your Lake Forest Park, WA house, hiring a home photographer can make a big difference between making money and just breaking even. Think about when you look at photos of homes online: If the lighting is terrible, the quality is poor and the listing provides very few photos, don't you subconsciously associate these bad qualities with the homeowner or renter? A home photographer helps with those challenges. Before you call any potential photographers, make sure they have good references. Friends who've sold or rented homes before are great resources, as are local real estate agents. Look through each Washington photographer's online portfolio to make sure what you're looking for is being offered. Once you've done that, it's a good idea to walk around your home and write down exactly how many and what types of shots you'll need. 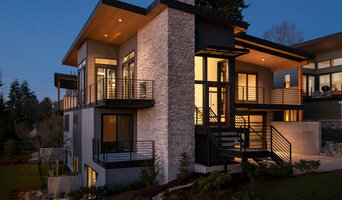 Include any specifications you might have, such as angles, things to consider about your home’s Lake Forest Park, WA site, the time of day you think will be best and aspects of your home you want to highlight. Find a home photographer on Houzz. Narrow your search in the Professionals section of the website to Lake Forest Park, WA photographers. You can also look through Lake Forest Park, WA photos by style to find a room you like, then contact the professional who photographed it.